The good: RIM dug deep to give the slick-looking BlackBerry Z10 enough features to satisfy both consumers and professionals -- like a good camera and a sharp user interface. The bad: The Z10's unintuitive gesture paradigm creates a learning curve, and a long list of OS inefficiencies and omissions sour the experience. The bare-bones maps app and a deficit of camera features are two examples. The bottom line: Though it's not quite enough to draw committed iPhone or Android owners, the BlackBerry Z10's modern design and features give BlackBerry fans what they've hungered for. 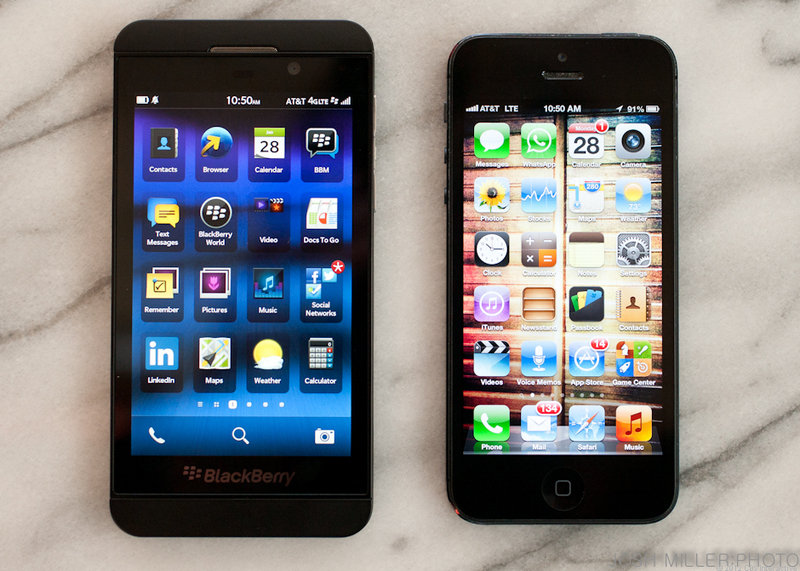 On January 30, 2013, RIM (Research in Motion) announced that the company will officially be known as BlackBerry. Members of the BlackBerry Faithful, meet your new phone. The BlackBerry Z10 has everything you've been waiting for: a sleek, modern, and professional touch-screen body with an up-to-date OS to match and 4G LTE support. You'll revel in the virtual keyboard's ease and in BlackBerry Messenger's seamless voice chats. You'll crow about the Z10's Micro-HDMI port, and enjoy the 8-megapixel camera with its built-in editing tools. In the most important ways, everything comes together: a lovely HD screen, a fast processor, a camera (with tricks!) that's good enough to stand alongside those of the big boys. Slip off the RIM-colored glasses, though, and you won't be able to ignore the minor hardware and OS irritations that nevertheless pile up as you use the Z10 over time -- like having to use an antiquated and unintuitive file system to create a new photo album, and a basic mapping app that can't possibly stand up to Google's best-in-show. For their part, BlackBerry detractors will plainly see a poor iPhone clone that offers little more than the usual features found in any present-day OS worth its salt.